Dominance is one of the first words that comes to mind when the 2018 Trimble Tomcats’ defense is mentioned. 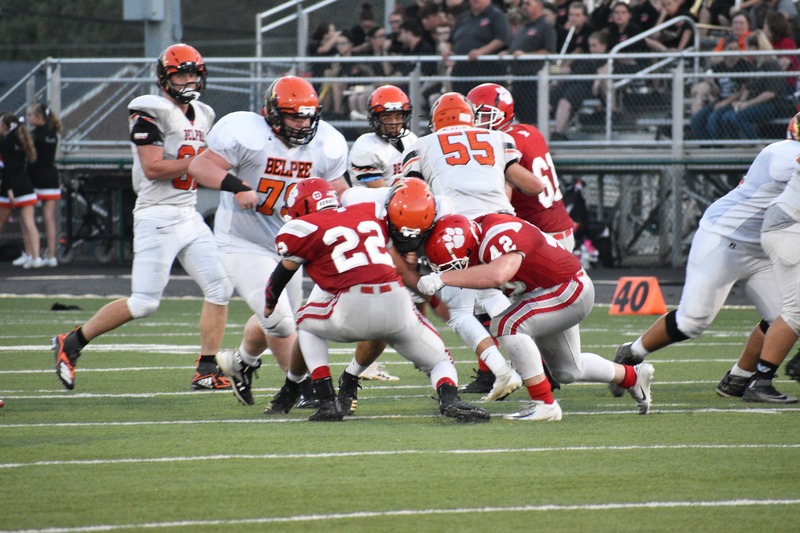 Nine of their first 12 games resulted in the Tomcat defense shutting out their opponent, including a six-game shutout streak that extended into the playoffs. This dominant group, which concedes on average 5.4 points per game, has rewrote their school record books as the most dominant defenses in school history. 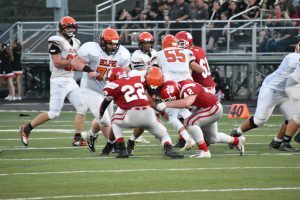 The leader of the Tomcats’ defense is junior, Sawyer Koons, who was named Division VII Player of the Year by the Ohio Prep Sportswriters Association earlier this week. He finished the regular season averaging almost 14 tackles per game, leading the Tomcats to a 9-1 regul ar season record. His defensive dominance has extended throughout Trimble’s playoff run, including a 20-tackle performance in Trimble’s 7-0 regional semi-finals win over Harvest Prep. His leadership resides with the Tomcats’ defense even after suffering an ankle injury in the regional finals game that kept him out of majority of the second half. After toughing it out in Trimble’s state semi-finals victory over Cuyahoga Heights, Koons and the Tomcats’ defense advance to their most important game on the biggest stage. An already historic season for Koons and the Tomcats can be capped off with a state title victory when they take on McComb High School on Saturday, December 1st, in Canton, Ohio.